Marla is a Senior level Iyengar Yoga teacher who was highlighted by Yoga Journal magazine as one of twenty-one young yoga teachers helping to shape the future of yoga. She has been involved with medical research studies at UCLA on yoga for depression, anxiety and IBS and created the first yoga therapy content to be incorporated into the UCLA David Geffen School of Medicine’s curriculum. 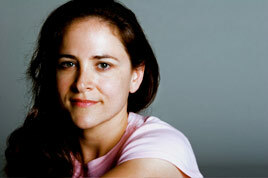 She is a writer/contributor for Yoga Journal and other periodicals. Marla served the Iyengar Yoga community as President of both the Iyengar Yoga National Association of the United States and Southern California Association and as a member of the national certification committee. She was honored in 2013 by the Iyengar Yoga Association of Southern California with the Manouso Manos Leadership award. She is pursuing her interest in making the healing benefits of yoga available to communities in need as founding board member of the non-profit organization, Iyengar Yoga Therapeutics. She teaches in Los Angeles, conducts teacher training in Southern and Northern California and leads workshops and trainings throughout the U.S. and abroad.